Whether you are in Jacksonville to visit the beaches and soak up the sunshine, or you are a year-round Jacksonville resident, you have access to the best emergency dentists on EmergencyDentistsUSA.com. Our website provides an extensive listing of emergency dentists in the Jacksonville area and offers a range of services that include walk-in and after hours dental offices that offer complete dental care. All you have to do is make one simple phone call to Emergency Dentists USA, and we will do the work for you! We are open 24 hours a day, 7 days a week and are able to find a local emergency dentist near you, and also assist in setting up an appointment if necessary. While enjoying a gorgeous day at a baseball game last summer, I was hit in the mouth with a foul ball! I was in such pain and at first wasn’t sure if I needed to go to the emergency room or not. My mom found this site right away and called to get us an emergency dental appointment. I am so thankful she found this site; I didn’t want to have to pay the emergency room fees when I knew the problem was just with my teeth. Jacksonville offers a wide variety of after hours and walkin dental clinics that are prepared to help you in any dental emergency you may face. Through our extensive research, we have compiled a list below of some of these clinics. From this list, ASAP Dental Care and Dental Arts of Florida are excellent choices for a walk-in dentist. They’re both open 7 days a week, provide same-day treatment, and welcome walkins and emergencies! If you are looking for after hours care for an emergency dental situation, Arlington Dental Center is a great choice as they are open later during the week and also have Saturday hours. Although there are no 24 hour dental clinics in the Jacksonville area, ASAP Dental Care is a good choice since it is open extended hours, 7 days a week. It’s also easy to find an emergency dentist in the Jacksonville area with our EmergencyDentistsUSA.com website! Description Call our referral service, Emergency Dentists USA’s phone number and get connected to an emergency dentist in Jacksonville Florida in seconds! We provide a service that will get you to the dentist that fastest and easiest way possible and its 100% free! 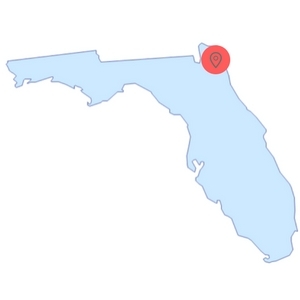 Easily find Florida emergency dentists with our service. Description: With ASAP Dental Care you can find treatment for all types of extractions, root canals, fillings and bondings, crowns and bridges, dentures, and gum problems. They provide same-day treatment and welcome walkins and emergencies! Their website provides a Dental Info page, which has extensive information on most dental emergencies you may face. Monday – Sunday: 8:30 AM – 7:30 PM. They are not a dental HMO/DMO/DHMO provider clinic. They do offer financing through Lending Club. Description: Dental Arts of Florida’s dental team is kind and understanding towards every person that walks though their door. They are open every day of the week and open evenings by appointment. This clinic offers flexible hours, an expert team, and specialized care all under one roof. They offer same-day service, 7 days a week. They accept most PPO insurance plans, contact to discuss your specific plan. They accept cash, most major credit cards and offer financing through CareCredit. Description: Jacksonville Emergency Dental is an urgent dental care where the doctors are dedicated to providing you with a pleasant visit and results that will get you out of pain and on with your daily life. They have two dental offices that are equipped to deal with most dental emergency cases. They are open 7 days a week and are able to see most patients within 24 hours. They accept cash and most major credit cards. Description: At Arlington Dental, dental emergencies are treated immediately you can just walk in, no appointment is necessary. They have proudly served the Jacksonville area for over 20 years and work hard to provide complete dental care at affordable prices. They accept most dental insurance plans, contact to discuss your specific plan. 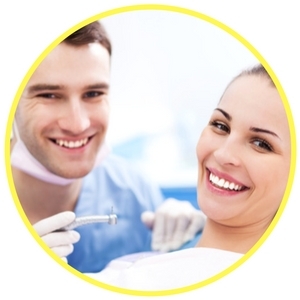 Visiting a Jacksonville emergency dentist is very much like visiting any standard dental clinic. They are able to perform x-rays and routine dental care along with emergency tooth extractions and dental repairs. Gather any recent dental x-rays and medical records to bring to your appointment. Any information that you can bring with you will save time during your visit. Try to arrive at least 15 minutes prior to your Jacksonville emergency dentist appointment in order to complete any necessary paperwork. This will allow the office staff time to organize your records and ask any questions necessary for your treatment. Ensure that the clinic accepts the form of payment you plan on using to pay for your dental services. Check if the office accepts your credit card or set up a payment plan for non-covered expenses. If you have dental insurance, you’ll want to ensure they accept your specific plan. There are a variety of common 24-hour dental emergencies that might cause you to search for a dentist at any hour of the day. 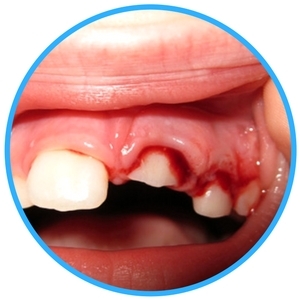 Some of the most commonly treated dental emergencies include an abscess or infection in a tooth and soft tissue injuries to the mouth. Other dental emergencies are usually caused by knocked out or chipped teeth, missing or broken crowns, lost or damaged fillings, and even broken braces or wires. Jacksonville emergency dental clinics have the equipment and the experience to treat any dental emergency. Below we discuss some of these dental emergencies and some home remedies you can try to alleviate the pain. A lost filling usually occurs when a tooth continues to decay below a filling, causing the filling to loosen and fall out of the tooth. Exposing the tooth to food and the pressure of chewing could crack or damage the tooth. If you lose a filling, you can replace it with a soft piece of sugarless gum or apply an over-the-counter dental cement to relieve pain and fill the cavity. 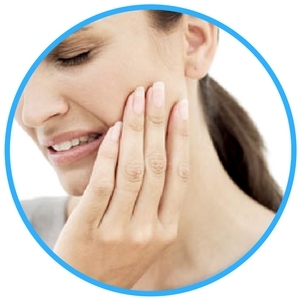 An emergency toothache is often quite painful and is commonly caused by tooth decay that is not addressed through regular dental visits. To relieve the pain, first rinse your mouth with warm water and floss carefully to remove any food debris. Then, apply a cold compress to any area of the mouth that is swollen. If a tooth is knocked out due to an injury or accident, it is important to call 911 or visit an emergency room as soon as possible. If you are able to find the tooth, grasp it by the crown and avoid touching the root. Rinse the tooth and your mouth with warm water. Place the tooth back into the socket and apply firm pressure. If the tooth will not fit back into the empty socket, place it in a cup of milk or Save-a-Tooth. You might need an emergency tooth extraction if you have an abscess or infection in the tooth that is likely to spread to other areas of the body. It might also be necessary if you have teeth that are crowded into your jaw or if a tooth is damaged beyond repair due to tooth decay or trauma. Waiting to have this tooth removed rather than having the extraction done immediately, means more risk along with a higher necessity for the use of medications like painkillers and antibiotics. In most cases, a dentist will use a local anesthetic to numb the area of the tooth. They will then remove the tooth by breaking it into smaller pieces or by pulling the entire tooth with a special dental tool. Sometimes a dentist will recommend general anesthesia if the tooth is very difficult to remove, or if they believe the pain cannot be controlled with a local numbing agent. In general, it takes about two weeks to heal completely from a tooth extraction. In the hours following the procedure, a gauze pad is placed in the empty socket to stop any bleeding. Medications should be taken as prescribed, and patients should avoid drinking from a straw or eating solid foods for at least 24 to 48 hours. There are times when it is more important to visit a Jacksonville hospital emergency room than make an appointment with an emergency dental clinic. If you are experiencing a dental emergency that was caused by an accident or injury, it is important to be evaluated by a medical professional before addressing the tooth damage. If you have a sports injury, a fall, or a car accident that causes head and tooth trauma, you’ll want to call 911 or visit an emergency room right away. When your emergency is due to broken brace wires, a lost filling, or a toothache it’s best to visit an emergency dentist and not an emergency room. Most ER doctors are not trained to provide dental care and will only address the pain or infection, rather than the dental problem itself. The doctor will then refer you to an emergency dentist to complete the treatment. It can cost quite a bit more to visit an emergency room for these dental emergencies and you will still have to see a dentist afterward, therefore you will be spending a lot more on care than you need to. If you have a dental emergency while in Jacksonville, there are plenty of options for handling the tooth pain or trauma. Above, we have compiled a list of excellent after hours and walk in dentists to choose from. We also offer our free service, Emergency Dentists USA, where you can just make one call and we will find a local dentist that fits your needs. Be sure to always check with the American Dental Association located at http://www.ada.org/en to ensure that the emergency dentist you choose is licensed and certified to practice in the state of Florida. You can also check the emergency dentist’s licensing online at the Florida Dental Association located at https://www.floridadental.org/. You can also learn more about local Jacksonville dentists at the Jacksonville Dental Association located online at http://jaxdentalsociety.com/.